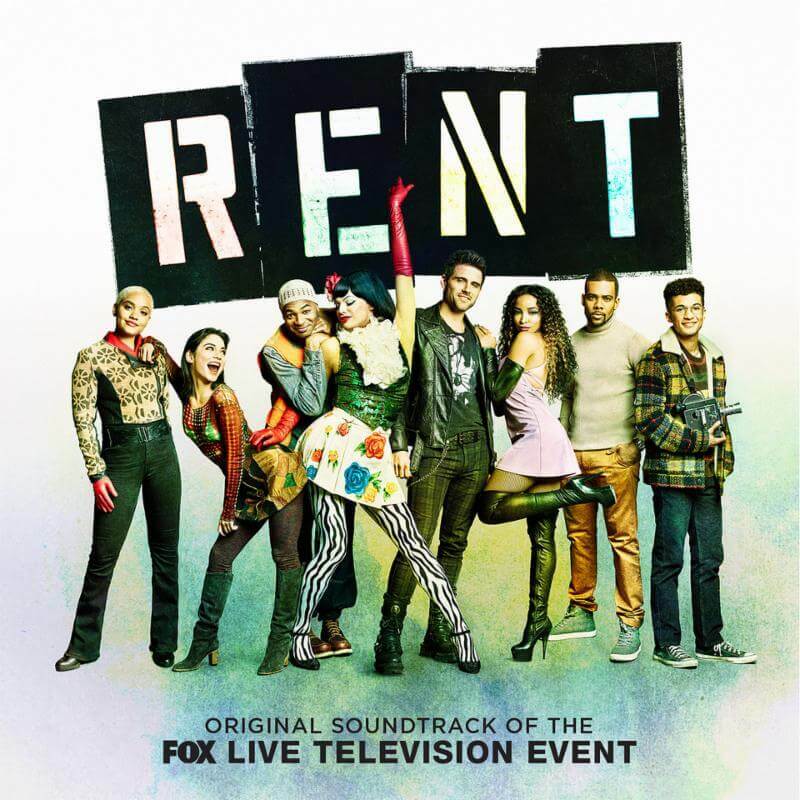 Sony Masterworks Broadway announces the release of RENT – ORIGINAL SOUNDTRACK OF THE FOX LIVE TELEVISION EVENT, with music from the Tony Award- and Pulitzer Prize-winning musical RENT, as performed by cast members, with a live orchestra on stage, during FOX’s highly anticipated live broadcast. Available for preorder now, the soundtrack will be released digitally on Friday, February 1, and as a two-disc CD set on Friday, March 1. Included with today’s preorder and available now to stream and download is the show’s classic anthem “Seasons of Love (Radio Edit)” – listen here. The live broadcast event airs Sunday, January 27 (8:00-11:00 PM ET live/PT tape-delayed), on FOX. The television adaptation will be broadcast live from the historic Fox Studios in Los Angeles. Acclaimed film, television and theater producer Marc Platt (“Mary Poppins Returns,” “Jesus Christ Superstar Live in Concert,” “Grease: Live,” “La La Land,” “Wicked”), along with the estate of writer/composer Jonathan Larson, will executive-produce the event. Tony Award-nominated director Michael Greif (“Dear Evan Hansen,” “Rent”), who directed the original New York Theatre Workshop and Broadway productions of “Rent,” is the director overseeing the stage direction; and Alex Rudzinski (“Jesus Christ Superstar Live in Concert,” “Grease: Live,” “Dancing with the Stars”) will serve as the live television director. In addition to Greif, creative team members from the original Broadway production of “Rent” returning for the television adaptation include Emmy Award-winning casting director Bernie Telseyand costume designer Angela Wendt. Additional creative team members include Obie Award winner Kristoffer Diaz writing the adaptation for television, Emmy Award winner Al Gurdon as lighting designer, Tony Award and Grammy Award winner Stephen Oremus as music director and producer, Jason Sherwood as set designer and two-time Emmy Award nominee Sonya Tayeh as choreographer. RENT is produced by 20th Century Fox Television. Marc Platt, Adam Siegel, Julie Larson, Allan Larson and Revolution Studios’ Vince Totino, Scott Hemming and Marla Levine serve as executive producers.